With your business objectives firmly in mind, we design, develop and deliver our theatre & arts training programmes to get the most out of the audience. Our heritage in the sector enables us to bring well-recognised 'everyday' operational situations and scenarios into play. This brings clarity and relevance to our sessions for individuals working across all levels of the operation. From individual coaching and facilitated workshops, our group, paired and individual sessions ensure that participants remain engaged and focused throughout their time with us. From the outset we listen to what is needed and can combine a variety of techniques, including eLearning, DVD presentations and role-play to suit the audience, organisational structure and budget. "I have worked with Nick & Caroline on numerous occasions over the past 10 years. 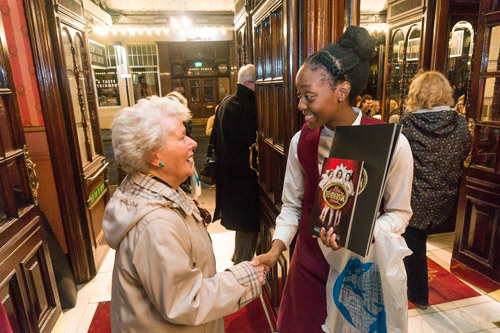 They have always delivered first class training across various West End theatres that I have managed, including the Victoria Palace, St.Martin's & Ambassadors. It has been a total pleasure dealing with them, with the standard of training being exceptionally high. We are a better organisation thanks to them."